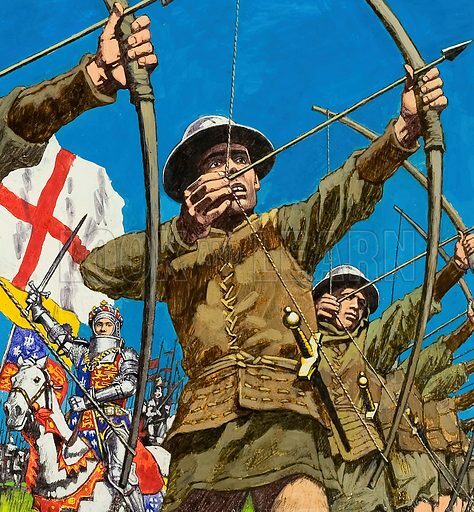 English Bowmen at Agincourt. Original artwork for cover of Treasure no 416 (2 January 1975). Available worldwide for immediate download up to 3,848 x 4,159 pixels.